April | 2009 | YesBiscuit! I always take spiders outside because I believe in karma – and because of this. Not to be outdone, a sparrow may have seen a spider in his house too. Animal control in WA: We don’t do emus. In a bush outside the press briefing room at the White House – a new family. Home Depot in Arkansas gets free pest control. Right whale run over by federal ship out to protect it. Your hourly dose of Swine Flu hysteria. Or not. Shelter Killing: Cruel to be Kind? What makes this point of view especially disturbing is the illogical leap it causes people to make from a false assumption (animals are suffering in overwhelming numbers) to a violent conclusion: the idea that mass killing is acceptable, indeed desirable. Because even if the first assumption were true (it is not), the conclusion simply does not follow. There are many, many possibilities in between to combat it—education, adoption, redemption, sanctuary, rescue, rehabilitation—that are ignored simply because the notion that killing is the “logical” outcome has dominated the sheltering dialogue for so long and so completely. It is regarded as acceptable and inevitable even though it the most extreme, unnecessary, and inhumane of many possible responses. In the end, their argument comes down to the false notion that there are fates worse than death. And, sadly, too many people who in rescue work have adopted this point of view, even though it is patently false on its face, all the more because it incorrectly assumes there are only two choices available: killing at the pound or killing at the hands of abusers or on the streets. Working hard to end the scourge of abuse and neglect—and to punish the abusers—is not mutually exclusive with saving the lives of the innocent victims. In fact, the moral imperative to do one goes hand in hand with the other. No one is suggesting that shelters leave animals to their abusers or that we adopt animals out to them. Everyone agrees that abuse is terrible and something no animal should be made or allowed to endure. Of course, they must be rescued from these horrible fates. But once rescued and taken into protective care from former abusers, the question becomes do we find them homes, or do we allow them to become victims yet again by killing them? Why the leap to arguing that because they experienced abuse in the past, they should be killed now? Or that all the other animals entering shelters should be killed? It’s illogical. Thank you Nathan for writing on this important topic. I reiterate my position on euthanasia: it should be performed by a Veterinarian using the gentlest method modern medicine allows to end the suffering of a medically hopeless pet. Killing unevaluated, abused dogs seized in dogfighting cases makes a mockery of the idea of “rescue”. Killing unevaluated shelter pets to make space for more unevaluated pets who will be scheduled for killing shortly thereafter is a cruel cycle of insanity. A recent news story hits close to home. The Lee Co animal shelter in SC has space for 35 dogs. The shelter has killed 100 dogs in the past 30 days. They are asking for food donations. How many in the community will be eager to come forward and offer support knowing that the food they donate will likely be a last meal for a dog on death row? I see a missed opportunity for community involvement had the shelter called in the media to appeal for food and homes while those 100 dogs were still alive. To my mind, people are much more likely to pitch in when the goal is to save pets. 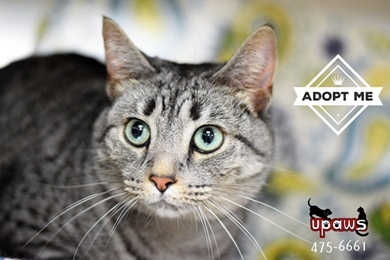 Even now, while making an appeal for donations, the shelter could and should make public a commitment to rehome the pets in their care, not to perpetuate the cycle of killing for space. We all get burned out but killing is never the solution. There’s no shame in asking for help when you need it. No one can do everything, but each of us can do a little something. Find your nearest no kill shelter here. If you’ve been trying to keep up with the dizzying back and forth of FDA’s Nutro (non) investigation, good luck. My question: If the FDA is not investigating Nutro, why the heck not? Chained dogs and BB guns – what could possibly go wrong? 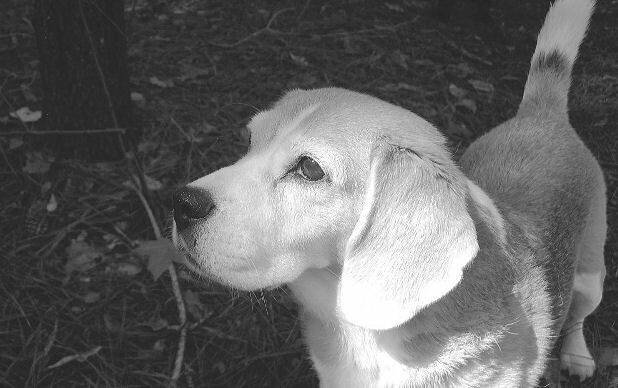 Spike is gone, mauled to death earlier this month by a pit bull on the loose. The little Dachshund was the latest casualty of an out-of-control breed whose irresponsible owners are letting their animals terrorize dogs and people alike. The piece goes on to say that because BSL is prohibited in FL, nothing can be done to protect people from dangerous dogs. And that Pitbull advocates don’t post stories about Pitbull bites, only the nicey-nice stories. There’s no such thing as monsters and no such thing as “an out-of-control breed” of dog. Some individual dogs of all breeds bite, for various reasons. But most dogs don’t bite. Some owners are irresponsible – they may own any breed of dog, including Dachshunds for example. But most owners are well intentioned people who, if they aren’t already behaving responsibly, may need a hand up in the form of education and community support. Making low/no cost neuter surgery accessible to all pet owners who want it is just one way the community can make a difference. And the idea that nothing can be done to protect the public from dangerous dogs unless BSL is passed is utterly false. Non breed specific legislation regarding dangerous dogs is already on the books in many areas. I’m a Pitbull advocate and I post stories about bites in addition to the hero dog and other positive stories. Some people don’t like that. But we can always learn something from tragedy and every opportunity to educate is important. I don’t blame the breed, I look at the backstory and try to figure out what went wrong. Too often, bite incidents could have been prevented by something as simple as not leaving a child unattended with a dog or keeping a dog confined. These are basic tenets of responsible dog ownership and yet the need for education is apparent. So I don’t shy away from those. On the other hand, I don’t fall for every “Pitbull Mauling Rah-Rah-Rah!” headline that makes its way on to the internet. We have seen time and again that the dog in question is in fact not a Pitbull, that there was no mauling, etc. while bite incidents involving other breeds get little media coverage. As for who is terrorizing who, I’d say irresponsible journalism and wrong-headed thinking are partly to blame for perpetuating the myths (and ratings grab) surrounding Pitbulls. Everyone is entitled to his opinion but fear mongering and discrimination have no place in our communities. We are a no kill nation of pet lovers and a humane society. Join us. 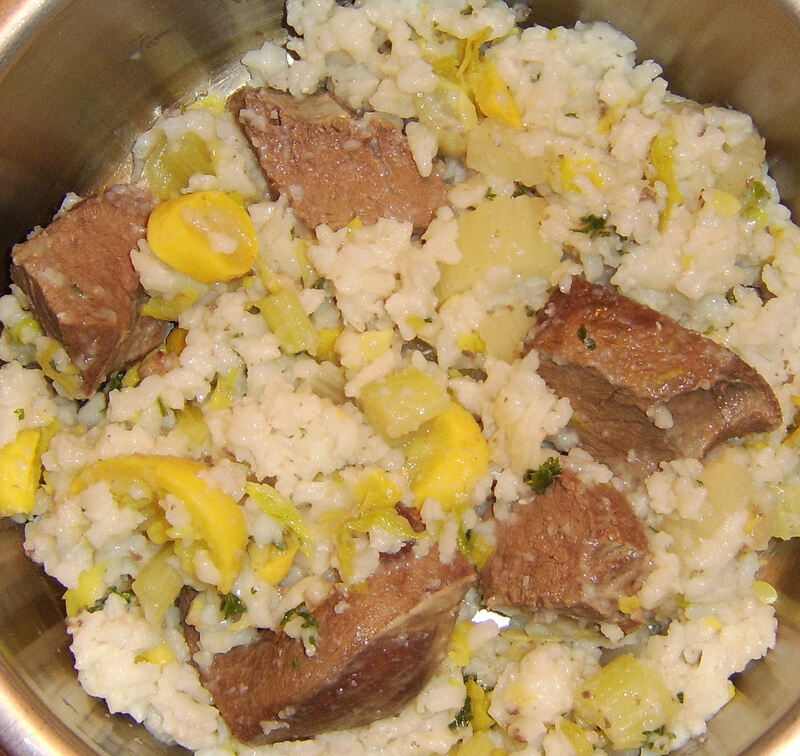 On the menu: beef heart (sliced into big chunks), rice, celery, yellow squash and parsley. Add a splash of olive oil and some Calcium and serve. A. If you don’t like this blog, please feel absolutely welcome to leave. There’s the door. B. If someone is posting my blog on an e-mail list or forum which you are a member of and you don’t like it, feel free to contact the list/forum owner. *I* am not the one posting it there. C. If you do not actually read the posts to figure out what they say but just want to complain about what you think they might say, you are just blowing smoke. Refer to A.
D. If you are a scumbag dogfighter, you will find no friend here. I would put you in jail myself if I could and find your poor dogs some decent owners who don’t have their heads so far up their asses they need windows in their stomachs just to see where they are going. Summary: This is my teeny corner of the internet where I can speak my mind, pin up my Johnny Depp posters and turn up “Moon River” really loud. Visitors welcome. Cowards and ding-dongs, not so much. » Require pit bull owners to spay or neuter their dogs. » Prohibit residents from owning more than two pit bulls more than 8 weeks old. » Require pit bull owners to register their dogs with the city. 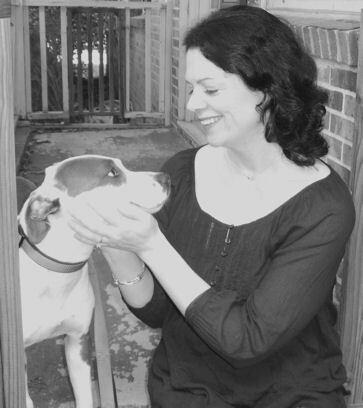 » Allow the city to revoke an owner’s pit bull permit if that owner mistreated the dog. » Allow the city to require any dog it declared dangerous — usually for attacking a person or animal — to be muzzled in public. » Allow the city to require any owner who mistreats a dog to purchase liability insurance. » Fine the owner of any dog running loose that is not spayed or neutered. » Restrict the ways owners can chain their dogs. An Indianapolis Star review of dog bite data for 2008 revealed that pit bull bites soared 33 percent from the previous year and were three times higher than in 2006. Pit bulls also account for more bites and more severe bites than any other breed. Animal control officials say they often find pit bulls in the hands of neglectful owners who view them as a status symbol or, worse, train them to fight. I suggest the Star provide its dog bite data in a complete form, including who identified the breeds involved, how many incidents were investigated, and how the severity of the bites was determined. While I may take AC at their word that they “often” find Pitbulls owned by people who neglect or fight them, I would be interested to know how “often” they find them living with responsible owners. Maybe AC doesn’t have any idea how many Pitbulls are well cared for pets because they have no reason to encounter those situations. I don’t know but it is irresponsible to report only one side of the story. As for the proposed ordinance, I see it as not only discriminatory toward Pitbulls but also toward low income owners. Will the city provide low/no cost neuter services to those in need? If not, I can imagine a good many people would be unable to pay for neuter surgery as well as the cost of complying with the chaining provision and whatever the registration fee might be. What will happen to owners and rescues who have more than 2 Pitbulls? They will apparently have to decide which ones to keep and which ones to rehome. If quality homes can not be found in time, presumably the city will seize the dogs. More Pitbulls at the pound. Great. The proposal will appear on the agenda at the May 4 City County Council meeting, but will not be discussed until subsequent committee meetings. During those meetings, council members will lay out a procedure for accepting public input. To keep animal attacks down, Amarillo Panhandle Humane Society (APHS) is euthanizing all pit bulls at the shelter if their families do not claim them in 72 hours. ProNews 7 learned pit bulls are just “not eligible” for adoption to new families. Humane society officials said they’re a “problem breed” and they have the numbers to back it up. Since October, they’ve recorded 51 bites from pit bulls. “If they’re going to continue to be irresponsible, then maybe limiting the population will be a good thing,” said Shannon Barlow of Amarillo Animal Control. The article provides the “numbers to back it up”. And I call SHENANIGANS on those numbers! Who ID’d the dogs involved in the bites? The overwhelming majority of bites were by “all other dogs” – what breeds were they? These stats are being reported by the people KILLING dogs with no known bite history! The only thing these dogs are “guilty” of is getting picked up the the local “Humane Society”. Anyone else getting the stench of rat? And where does a public servant get off pulling this Mother Hen crap? I suspect the community she’s paid to serve would not support her “You’re all bad people so I’m going to kill these dogs” philosophy. And does the 72 hour hold for stray Pitbulls apply to all strays or do non-Pits get held for longer? APHS, please get out of the sheltering business already and take your mindless Pitbull killers with you. We are the real humane society. Join us. A 10 year old boy was bitten by a loose Pitbull in Sumter, SC. Two 3-year-old pit bulls a male and a female apparently got out of a fenced-in pen and came through a backyard path from a North Milton Street home. The female was seized by the Sumter Police Department’s Animal Control Unit and is being quarantined for 30 days. The white pit bull later identified as the male, called “Big,” by his owner, Anthony Hayes tried to get at his neck, Tobias said, and that’s when he was knocked over and the female pit bull, “Beauty,” bit his leg and didn’t let go. The dog’s name is “Big”. Is that really a NAME or does the guy have a Brittany named “Medium”, a Pomeranian called “Small” and a Great Dane known fondly as “Extra Large”? Something is not right here. Hayes, 30, said the dog is pregnant, which might be a reason it attacked. Both dogs were kept in the house until recently, when they got to be too large to stay inside. Hayes said either one or both of the dogs dug a hole to escape their fenced-in enclosure, which is partially covered with blue tarps to keep out bad weather. “Once she has the puppies, I’m probably going to get rid of her. I don’t need the drama or anything else happening,” Hayes said. Item: Puppies reach their adult size long before they are 3 years old – years before. So what is this nonsense about they just recently got too large to live indoors anymore? Did the house shrink? Item: Dogs dig. Is this new information to any dog owners out there? If you leave dogs in a pen for any length of time, they’re going to dig. Especially if they are bored. Item: Unspayed females get pregnant if they are made to live in pens with unneutered males. But since the cow is out the barn now, what exactly is the plan for raising and finding good homes for the dam and pups? Is there a plan? Was there ever? Whelping the litter in an outside pen with a male dog isn’t the plan, right? Oh Calgon, take me away! We need education and community outreach to promote responsible dog ownership, especially in poor, rural areas. Time and again we hear about kids getting bitten or being killed in preventable situations that never should have developed. I know some people choose to ignore personal responsibility and ‘you can lead a horse to water’ and all that. But if we at least got the horse to the water, it might spare a tragedy. Save Dale – Don’t Balk! My supa-clever blogger friendy Heather posted recently about a li’l chicken she has on her farm named Dale. Please read the delightfully entertaining comments in her post to learn about raising chickens and also about the grassroots movement to keep Dale out the crockpot. I will have the total on the feed order in a couple of weeks, but we are looking at between $ 210 and $250. Contributions must be marked Montana Rescue — SAVE DALE. Otherwise — coq a vin. OK peeps (haha), let’s do this thing. Whether you want to save a chicken from the pot or you want to support the many dogs in English Shepherd Rescue or you just want to hand Heather a feathery beatdown, dig into your Paypal account and see if you can come up with a little donation. Remember to mark your donation “Montana Rescue — SAVE DALE”.